It’s so haaaard to say goodbye…to outdated physical media. I swear, I used to be cool. There was a time I cared a lot about music, which is the thing you care about when you’re cool. And now I’m old and not cool and don’t really care anymore and I mostly just listen to the radio or the Spotify top 50 while I’m at the gym. And even though I don’t care, I still have a box of my old CDs under my bed that I haven’t touched in years. This box represents my musical taste from high school and college, approximately 1996–2004. It’s horrible. I’m deeply embarrassed by this box. At the time, I thought I had very cool taste in music, but a lot of that era has not aged well, and some of the buzzy bands of the early aughts have faded into obscurity (Longwave, anyone?). I’ll be blunt: There’s a lot of mid-'90s ska revival. I think of this box kind of like the painting in The Picture of Dorian Gray. As time passed and I aged, the Get Up Kids CDs got more and more gnarled and horrifying. I’ve read Marie Kondo’s The Life-Changing Magic of Tidying Up, and I believe in the doctrine. I’ve purged my closet, my books, and my knickknacks, but I just can’t get rid of that box of CDs under my bed. I haven’t played any of them in years, and have no intention to. My terrible box of CDs. Note at least FOUR Less Than Jake albums. My coworker at BuzzFeed, Sami Promisloff, is also a fully grown adult abusing her parents’ basement as a storage space. The remnants of her middle and high school jam band phase numbers an estimated 300–400 CDs in binders, and then more stacked on spindles. Because live gig tapes are huge in the jam band community, Promisloff’s collection is almost exclusively burned CDs, which means there’s no chance of her selling it to a used CD store. The jazz and rock section at Academy Records. Donation is your other option — charity resale shops like Goodwill or Housing Works will always take them. 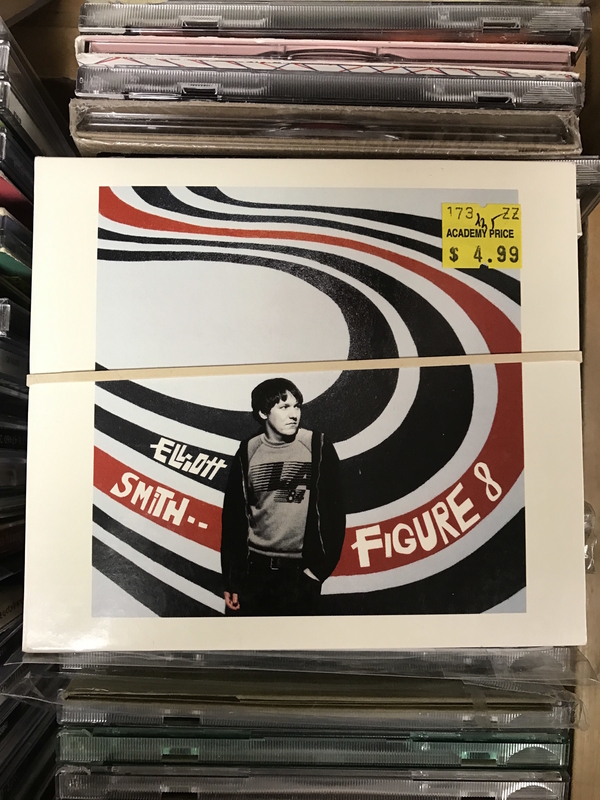 A clerk at a Paramus, New Jersey, Goodwill store told me that plenty of people still buy their used CDs, which sell for $1.99 each. 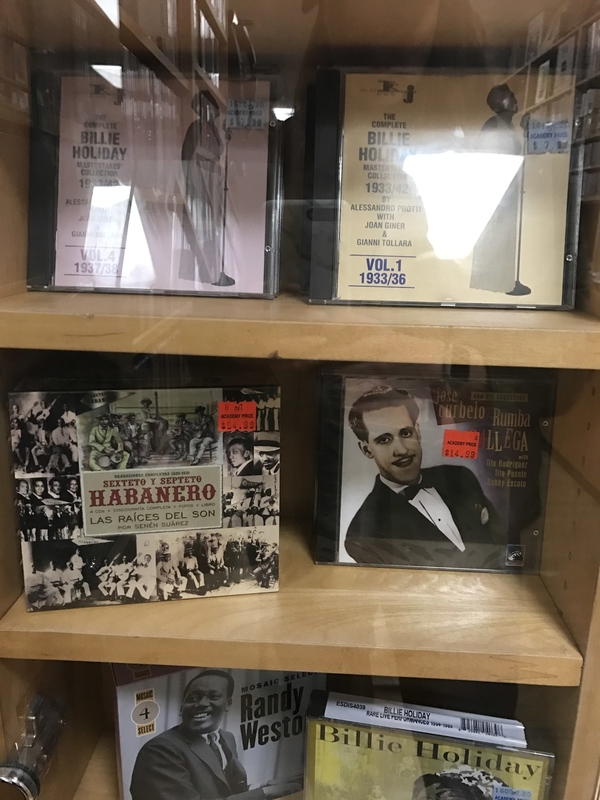 Another Goodwill in Maryland explained that if they end up with more CD donations than they sell (which happens fairly often), they move the excess around to other stores or other parts of their organization. So a CD donation is always appreciated. Those “chill out” electronica compilations that sound like Svedka ads. Finkel notes that somehow everyone whose entire collection is otherwise exclusively rock seems to have one of these terrible mix CDs. Academy also receives a fair amount of full CD collections coming from estates after someone died. When CDs first came out, a lot of baby boomers rebought their whole vinyl collections onto the hot new technology — tons of Steely Dan and Fleetwood Mac. Now, Academy is getting calls from widows or children who are getting rid of the whole collection. For big collections and for older people, they’ll do house calls. Chris Capese works via word of mouth, and will come to your house, appraise your collection, buy it, and haul it off. He only works with real-deal collections — not your one box of Smash Mouth CDs. Without sounding too “kids these days!” I think that kids these days will never understand the way that owning physical copies of music feels so different than streaming or MP3s. Musical taste will always be important for young people, and almost certainly more access to music means kids will love even more of it. But the intense feelings you get when you go to a store and buy a CD and bring it home and remember the track order and the liner notes — that’s different. And that’s why us old people are so attached to them. It’s hard to say goodbye to those memories of not only enjoying your teenage music, but also of being a young person who had the time to sit and read the lyrics in the liner notes while listening to the album in entirety. Our CD collections aren’t just nostalgia — they’re part of our identities. Elizabeth Olson, 38, kept her old CDs in a paid storage space for years while moving cross-country for work and living in a small apartment. Now settled with a house and a baby in the New Jersey suburbs, she has room in the basement for her boxes. “Part of me hopes that one day my son will bring home a dusty CD player from the thrift store and be super excited to listen to It’s A Shame About Ray,” she said.